After a relaxing week in Asunción, we spent the day flying on Friday, March 10 to Quito, Ecuador. Thanks to my Chase Ultimate Rewards points and a transfer to Singapore Airlines, we were able to fly business class on Star Alliance partner Avianca. In our ten months of travel to this point, we had never before needed to take multiple connections to get to our destination, but that had to change. We had a comfortable day of travel, but it certainly took the entire day as we changed planes first in Lima, Peru and then afterwards in Guayaquil, Ecuador. 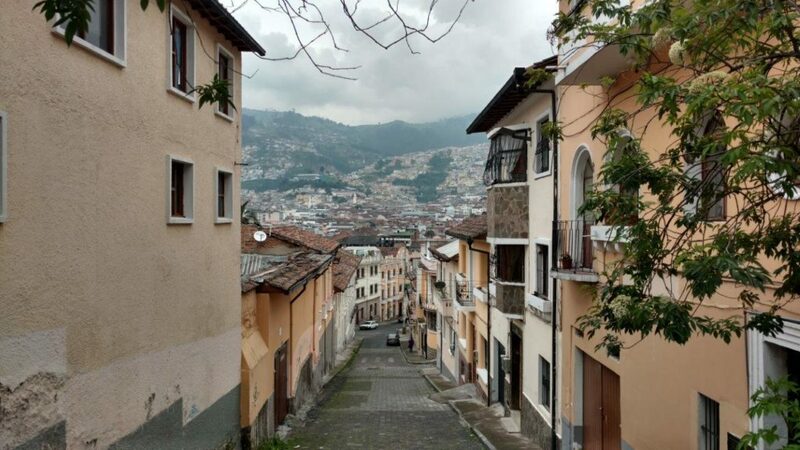 We stayed in Quito for a whopping nine days, our longest time staying in any single city for our entire trip! We definitely loved the city (although part of our delay was our decision to wait until the dates when we spied the cheapest flights to the Galapagos Islands; more on that later). 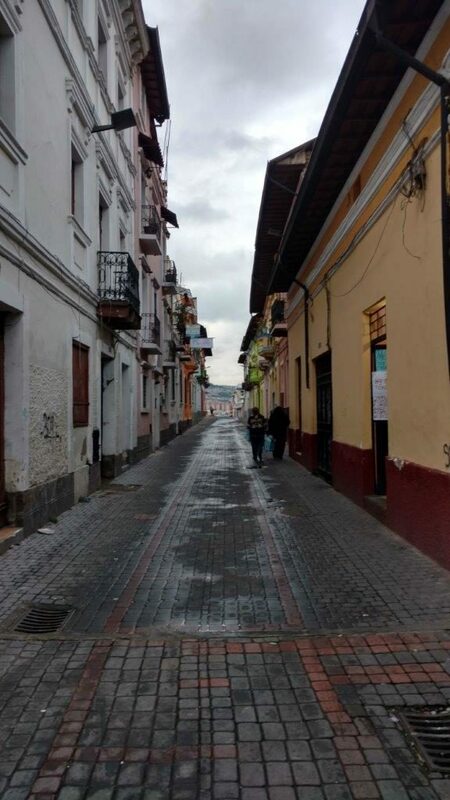 Beautiful street in old town Quito. That white sign on the right is where we could find dinner for $1.50. Old town Quito was on a high hill, with gorgeous views of the city and valley below. 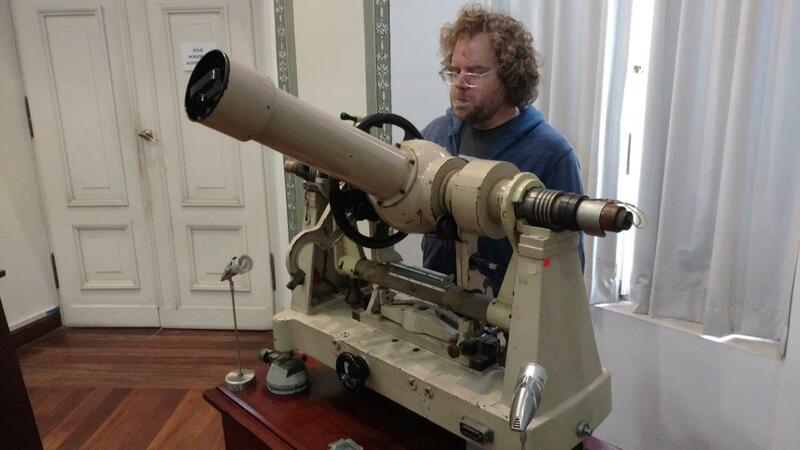 We stumbled across an astronomy museum in Quito where Charley pored over some old tools. 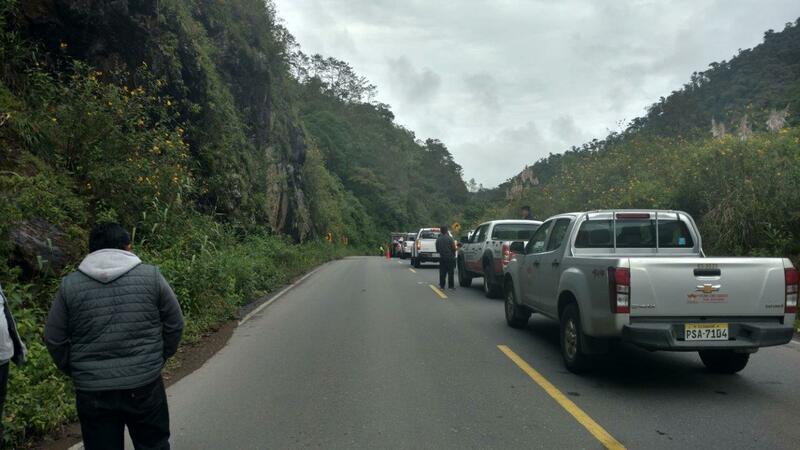 Rockslides are a fact of life on the road, and we sat and waited a while en route to Mindo. 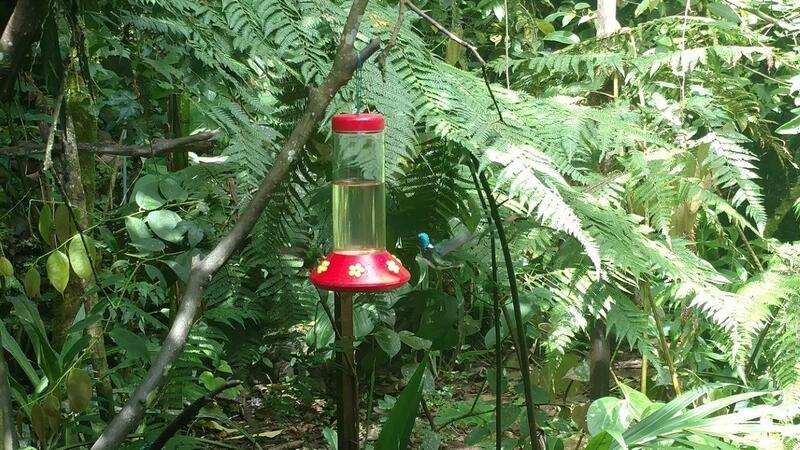 Beautiful hummingbird, but of course his wings are little more than a blur. 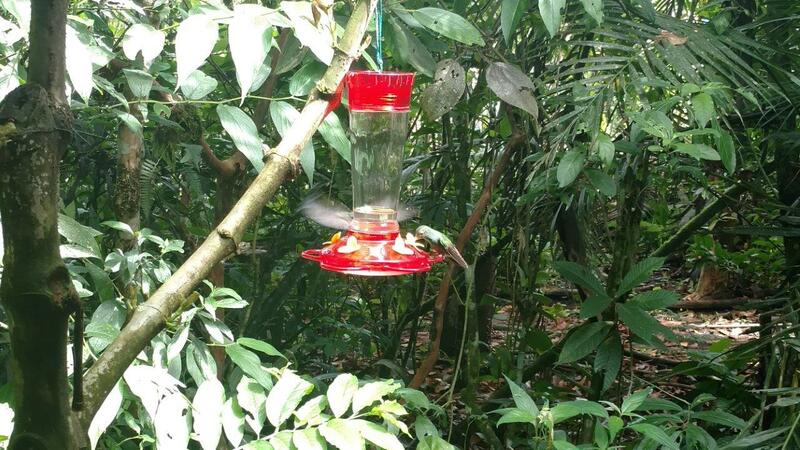 A couple hummingbirds have a snack. 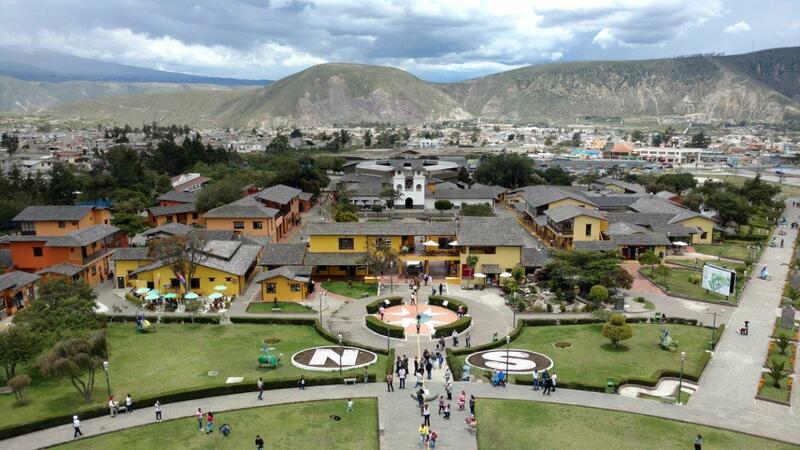 View of the Northern and Southern Hemispheres from the Mitad del Mundo monument. 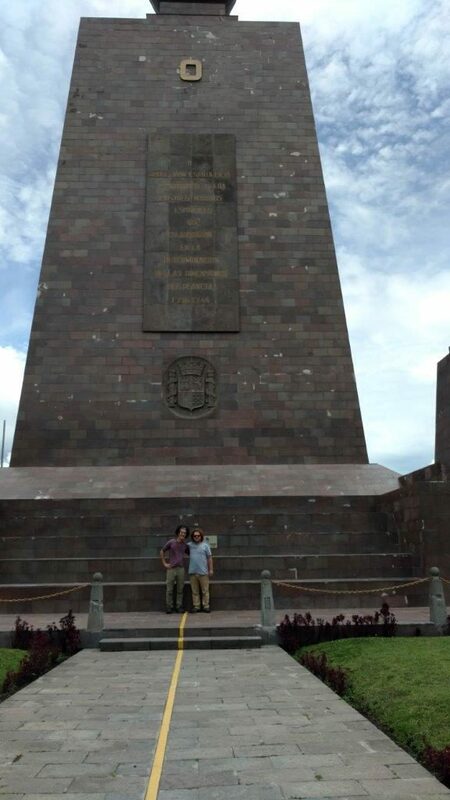 Not even hemispheres can separate this pair!